Former Democratic National Committee Chairwoman Donna Brazile said today she was unaware the organization had hired the investigative firm Fusion GPS to dig up dirt on then-candidate Donald Trump. "I was not involved in the contracting ... I was not involved in the hiring of this firm. I did not know about the existence of this contract," Brazile said in an appearance on ABC's "The View." Brazile said that Nov. 4, 2016 — four days before Election Day — she asked about the DNC's funding of Fusion GPS. "I asked one question on Nov. 4, and I was told that I didn't need to know. So no, I did not know. Because I did not control my money," she said, referring to allegations she makes in her new book, "Hacks: The Inside Story of the Break-Ins and Breakdowns That Put Donald Trump in the White House," that Hillary Clinton's campaign controlled the DNC. Brazile went on, "But if you asked me today, because I have a list of all the DNC consultants, do I see Fusion GPS? No. But if you ask me, was this a question [that] came up during my tenure as chair, it did on Nov. 4." 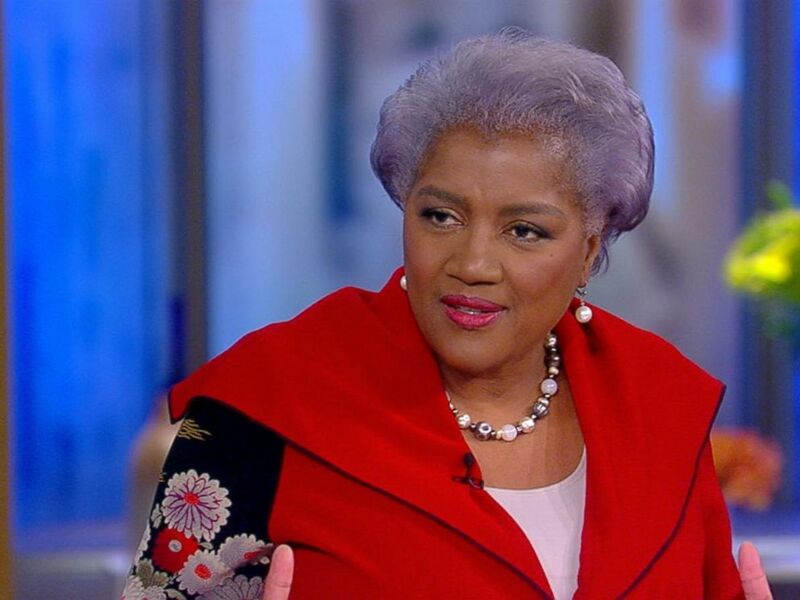 Donna Brazile as she appeared on the ABC program "The View" on Nov. 7, 2017. It was revealed last month that The Washington Free Beacon, a Republican-leaning publication, first hired Fusion GPS to produce the so-called Russian dossier on Trump. Perkins Cole, a law firm that represented the Clinton campaign and the DNC, retained Fusion GPS in April 2016, two months before Brazile took over as chair. The dossier, published in full by BuzzFeed last January, includes uncorroborated salacious allegations about Trump. He has denied the allegations and called the dossier fake news.